These wine coolers are very handy on a warm summer night: to keep your wine cool, just put the coolers a few hours before the party in the freezer and when your guests arrive, you can just put the wine on the table and put a wine cooler around it. Wine will stay cold for hours! The coolers are reusable and not breakable. 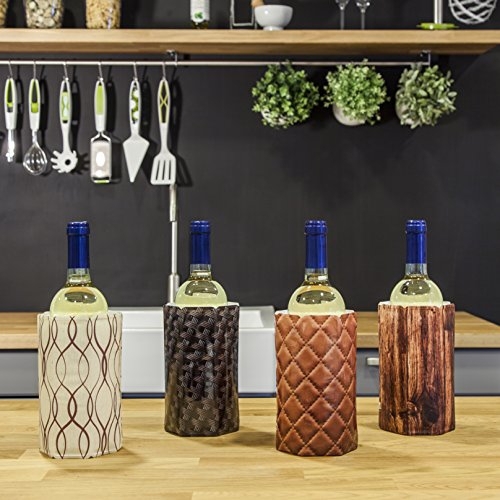 This Wine Cooler is an object of the Essential Wine Gift Set. Dimensions: 17,6 x 14,5 x 2,5 cm. Cooling gel: monopropyleenglycol, water & cellosize.